Benjamin Kirk and Jackie Moore. Nathan Biehl and Ellie Demorest. Kurtis Logan and Marcie Fisher. Cody Morgan and Jessica Plants. Brandon Pfhaler and Amanda Alaura. Thomas Pike and Kellie Hebert. Daryl Humphrey and Natalie Gibson. Paul Pickering and Casaundra Daniels. Jesse Glass and Desiree Roush. Jason Kreager and Elizabeth Madsen. Andrew Flores and Rachel Mosher. Robert McManis and Angel French. Hearing notice in estate of Thomas David Marcum. Judgment entry newly discovered assets in estate of James L. Brand. Judgment entry ordering inventory and appraisal in estate of Randy Dale Stafford. Entry approving appraiser in estate of Clarabelle Scott. Entry setting hearing; judgment entry to pay attorney fees in estate of Anita J. Davis. 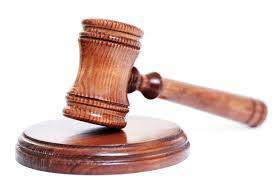 Judgment entry order approving amended inventory and appraisal in estate of Carl E. Cole. Entry appointing fiduciary in estate of John C. Hawbaker Jr. Entry appointing fiduciary in estate of D.J. McClenathan. Entry admitting will to probate in estate of Gary Tyrone Faust. Entry appointing fiduciary in estate of Adam D. Perkins. Entry appointing fiduciary in estate of Thomas Joseph Cawley. Entry admitting will to probate in estate of Robert A. Weiler Jr. Certificate of death filed in estate of Donald Jay Powell. Certificate of death filed in estate of Max Ramon Shrader. Certificate of death filed; original will filed; notice to administrator of estate recovery program in estate of Richard Allen Kimes Jr. Certificate of death filed in estate of Sarah Renee Brenneman.